The final component of the NextGen MyMagic+ experience is set to begin testing in the parks late next week. MagicBands will be given to a limited number of guests during a small trial period, where the full spectrum of MyMagic+ will be tested in real-world use for the first time. Wearing the MagicBands allows the guest to 'Touch to Enter' at the parks main entrance, 'Touch to Pay' at shops and quick service restaurants, touch for FASTPASS+ access to attractions, and 'Touch to Enter' room access. Test Track will become the first attraction where the MagicBands can be used as part of the experience, in place of the white cards that are currently used in the design studio. The standard MagicBands are expected to be available in a range of colors, red, black, blue, green, pink, orange and yellow. Disney has also said that special designer MagicBands will be available at an additional cost. 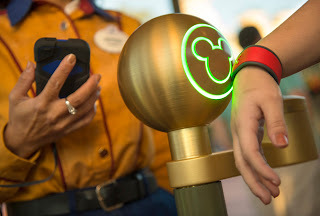 It is expected that once this initial MagicBand test is complete, the rollout will continue in phases to a full deployment of MyMagic+ during the remainder of 2013. The Bay Lake Tower pool is scheduled to be closed for a short refurbishment from 2/14/2013 to 2/15/2013. The main pool at the Contemporary Resort will remain available during the closure. The new Tangled themed restroom area being built in Fantasyland is expected to open later this month. It appears that the work on the buildings is now largely complete, and crews are busy on the ground working on the rest and relaxation area. Disney has today opened the registration for the 2013 'The Twilight Zone Tower of Terror 10-Miler Weekend.' The nighttime race takes place on 5/10/2013 at 10:00 PM at Disney's Hollywood Studios and ESPN Wide World of Sport, and is the only 10 mile event at Walt Disney World. Visit the official runDisney website to register and to find out more about the event. Monorail Red is now back in service after being restored to its usual colors following its time as The Avengers Monorail for most of 2012. 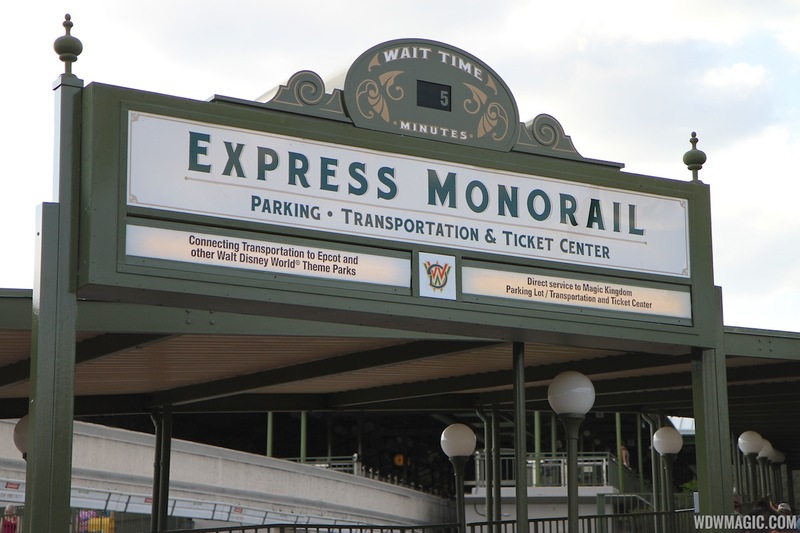 The Magic Kingdom Express Monorail wait time sign is now operational. When leaving the Magic Kingdom guests can check on the overhead sign at the entrance to the monorail to see the expected wait time for the monorail. A similar sign has also been installed on the other side of entrance area for the Magic Kingdom Ferry Boat, although this is not yet operating.